Hello, everyone, we are back with a new smartphone which is all set to launch in India at ₹ 2000. As per the latest news, Micromax and Google are ready to bring the Android Go smartphone with Oreo Edition in India. So let us see the full details of this smartphone. Google has made up its mind to introduce new and cheap smartphones in India. Smartphonesbased on Android Oreo Go Edition are coming in India at a very low price. Google is making its way to Micromax, Intex, Lava, Karbonn, and others. We were knowing that Android Oreo Go edition will bring some expensive and highly rated smartphones, but what we expected is wrong. The prices of the Android Go edition is too low, just INR 2,000 or $32/€26! Google has already done a partnership with few phone makers which operates in India. It is expected that later in this month first phones will be coming. Other vendors will bring the device in the following week. At present, the average price of the 4G smartphone is nearly $100 (₹6,400). 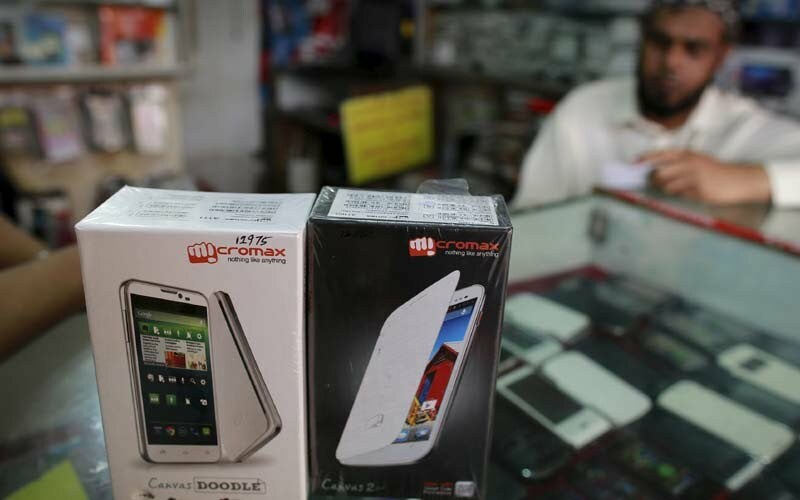 As per the news, the Micromax launch can be on the Republic Day or may be around it. Google said it is expected that Android Oreo Go Edition smartphones will be launch in early 2018. The Android Oreo is the eighth version of the mobile phone OS. This android Go edition is steady on the devices which has a memory less than 1 GB. These Go edition smartphones are good for consumers on a tight budget. This smartphone will be good for them who can change their feature phones to smartphones.. The share market has fallen down to 15% from 50% from past two years. This happened due to the pressure from the Chinese brands. The official Google said, “ As more users come online for the first time, the number of entry-level Android devices available has been rising quickly, and is expected to make up a much larger percentage of all smartphone sales going forward. Given the acceleration, we thought it is time to take our investment to the next level”. The search member went to all extent to make sure that Android runs well on such phones. This Go Edition smartphone will have 1GB of RAM or half. And an 8GB of storage which is slimmed down versions of Google’s core apps. The Chip makers MediaTek and Qualcomm are helping to optimize their chips to give the best performance. The Oreo Go edition OS is first taken by the Indian handset manufacturers who targeted the market for a feature phone. Google has cleared that it will put the full catalog of Google Play on Android Oreo Go edition smartphones. But the applications which are optimised for entry-level phones will be given extra visibility in the Play Store app. The experts say, without Oreo Go edition it was not possible to keep the smartphone at the lower price. In India, six out of ten devices were sold bellow Rs. 5,000 and five out of 10 are in sub Rs. 2000.